As part of the cable franchise renewal process, we need to gather information about your experience with Comcast and Verizon. We want to learn about how you would like to use the community Public, Education, and Government (PEG) access channels. Please provide your input by completing this survey questionnaire. 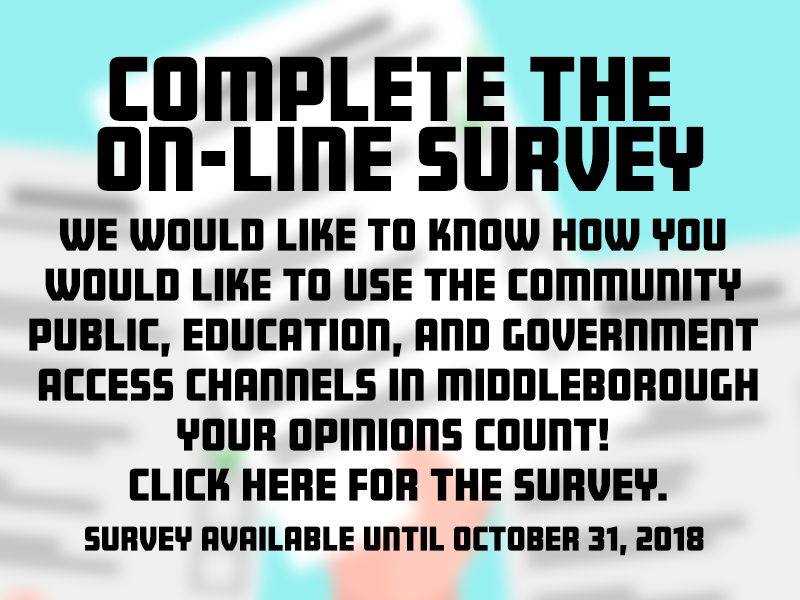 This online survey will be “live” until October 31, 2018. Make sure that your opinions and experience count!